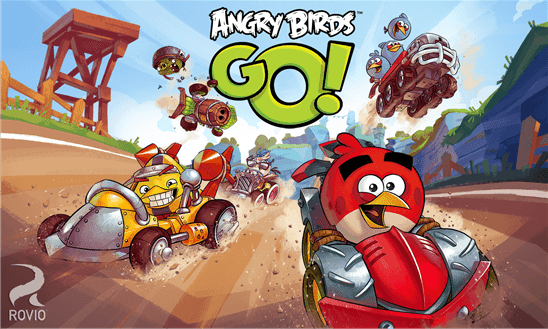 The amazing racing game from Angry Birds franchise has been updated with new content recently. And today it seems that the game has been unpublished from the store. 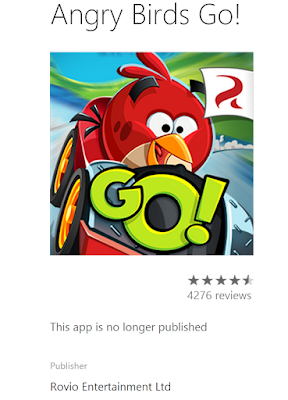 There were many apps and that got unpublished in the recent past From the windows phone store, most of them remained dormant in the store for many days before being unpublished. Some were unpublished because of copyright clashes. Like Rudy's snapchat client. 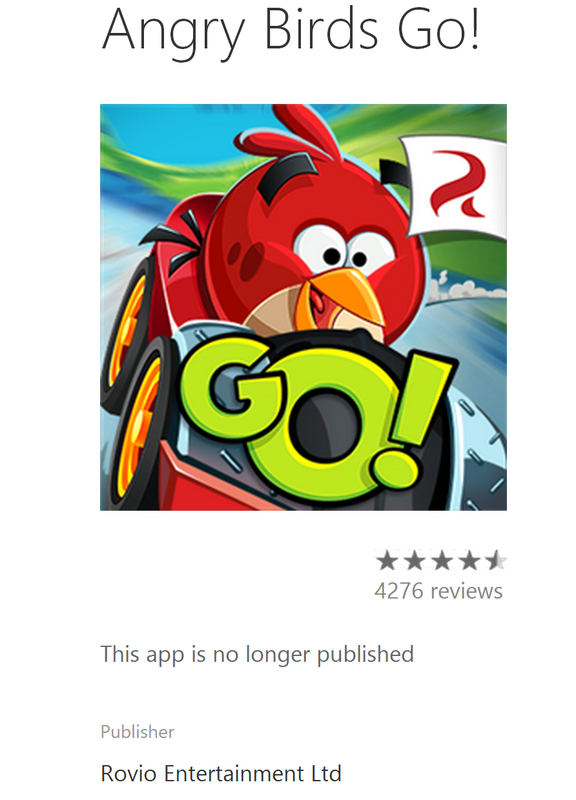 But Angry Birds Go! was in active development on windows phone. And it's an official game. 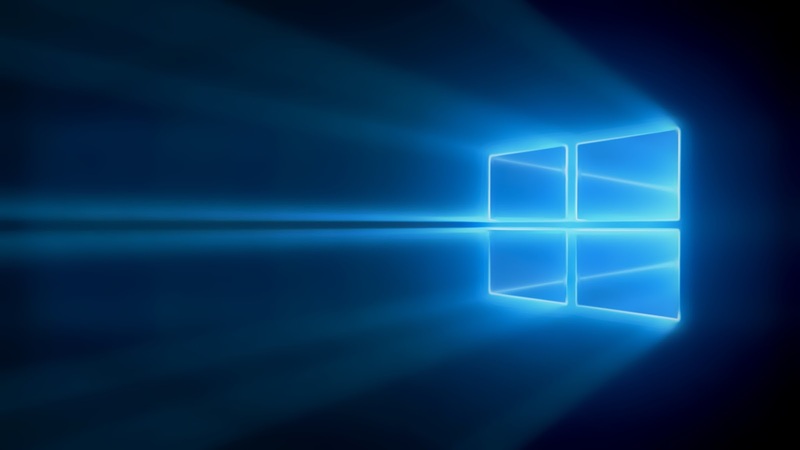 Which means Microsoft has not unpublished it. Yet from this we can conclude that the publisher themselves has unpublished the game. Any way if the publisher has did it then they might have a good reason to do it. And we could expect it to return quite soon. For now if have installed the game in your phone don't uninstall it, if you do you wont have any way to install it back again.